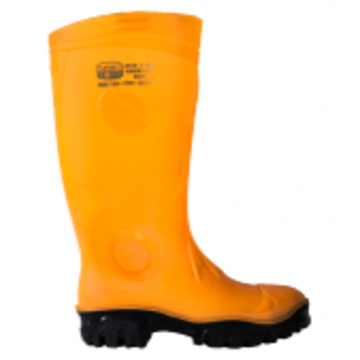 All Round Safety supplies the heavy duty knee length Safety Gumboots designed with toe protection. 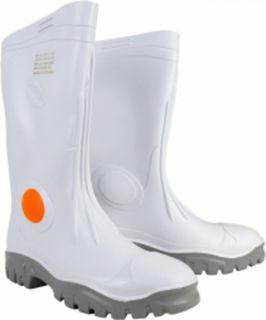 These gumboots are made from Poly Vinyl Chloride (PVC) and serve general purpose needs. These are fit for any workplace environment in New Zealand considering its excellent grip and sole support. Foot comfort is directly related to the relief of body fatigue, which in turn impacts productivity. Occupational fatigue is a priority issue in the mining industry, in particular, fatigue owing to walking long distances in gumboots is seen as a common problem. Safety in Mines Research Advisory Council (SIMRAC) commissioned the Council for Scientific & Industrial Research (CSIR) to conduct an anthropometric survey. Data from this research resulted in the design of the foot shape to accommodate the wider foot and thereby optimise foot comfort. Foot shape was still compliant within SABS parameters. Ankle cup recesses in the walls of the gumboot to allow the boot to hug around the ankles providing more support and eliminating ankle friction while working. Achilles tendon area is reinforced for additional support. The Top band is lower in the calf area than below the knee so that people will not experience impaired blood circulation while kneeling or on their haunches. Sole footbed as a built-in foot shape, with wrap around foot walls that provide a snug fit. 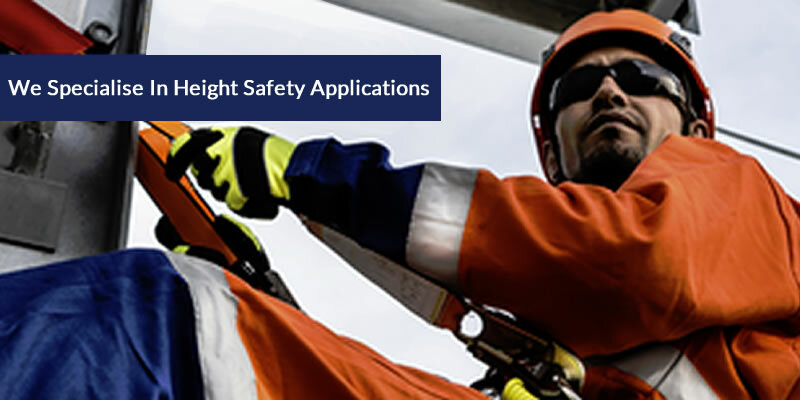 Safety is extremely important throughout the mining industry and comfortable, safe footwear can play a big part in reducing fatigue and improving overall safety. Ankle pad is thicker and harder than the surrounding boot to stabilise, protect and support this area of the foot. The ankle pad has a patented built-in luminous reflector for visual safety in low light environments. Extra-deep tread lugs provide excellent grip on all terrain from rocky to steep inclines to wet and muddy conditions. Moulded wide-fit toe cap fully compliant with all international standards. Options on this product include moulded steel mid-soles for penetration protection through the tread and are compliant with all international safety standards. Reinforced shin area offers protection from low-impact incidents. Oil and acid resistant compounds are used in the manufacture. The new Metaguard, manufactured from SABS grade oil and acid resistant PVC compound, is a world 1st in mining footwear safety! Its patented design absorbs impact and helps prevent rolling rock metatarsal and midfoot injuries. 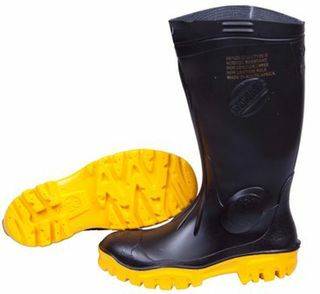 The Metaguard is factory fitted to the Stimela gumboot and is guaranteed to last as long as the boot itself. Offers extra protection to the small toe, normally not shielded by the steel toe cap. Retains the comfort features of a PVC gumboot, even in radical occupational positions. Interior webs absorb impact and help disperse it over the surface of the boot.